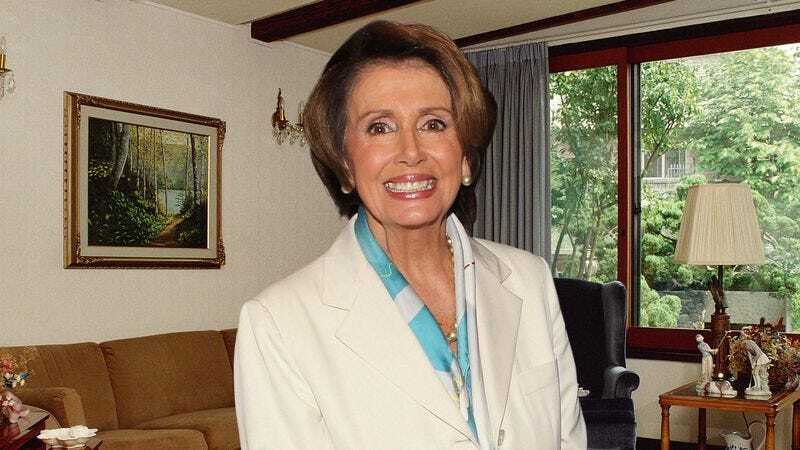 SAN FRANCISCO—Setting down her newspaper at the sound of the young child’s voice, House Minority Leader Nancy Pelosi reportedly rushed into her living room Thursday to hear her grandson say his first talking point. “Paul, get in here, I think he’s doing it,” said Pelosi, who reportedly could barely contain her excitement as the toddler proceeded to sputter through a line about reinvigorating the middle class by opposing tax cuts for Big Oil and corporations that ship jobs overseas. “Would you listen to that? He even pronounced ‘special interests’ correctly. Quick, somebody get the camcorder; I want to be able to save this forever.” As of press time, Pelosi was carefully helping her grandson walk back previous comments on Benghazi.